Let the road become your playground in the new Mitsubishi ASX, a compact SUV built for powerful driving pleasure. From its fierce new face and the advanced safety technology to new interior details, the ASX has been completely revamped to inspire unique urban adventures. So grip the wheel and feel the adrenaline rush as you cruise the streets in this elegantly rugged SUV. Standing for ‘Active Sports Crossover’, the ASX bridges the gap between Mitsubishi’s conventional passenger cars and its rugged off‐roaders. Practicality and versatility are keys to the appeal of the ASX. 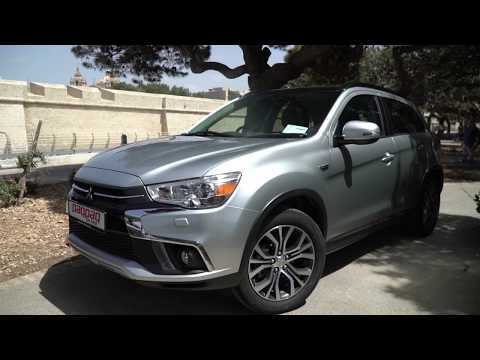 With a wheelbase to match the Outlander, passenger space is generous, with the flexible seating inside giving the ASX real versatility for customers looking for a practical, enjoyable car. The NEW Mitsubishi ASX is ready for anything; comes standard with a panoramic roof with mood lights, bluetooth handsfree phone system with voice activation commands,rear parking camera,auto dimming rear view mirror,LED (day light running lights), Xenon lights, touch screen display, 18" alloy wheels* including tyre sensors, rear parking sensors, auto wipers, auto dawn lights, traction control, privacy rear windows and much more! ASX is equipped with a 7-airbag system to provide increased safety to every seat. The front seat occupants are protected by front airbags, plus an additional knee airbag for the driver to help protect the legs in a forward collision. In a side collision, the front occupants are protected by side airbags and occupants in both rows are protected by curtain airbags extending along the sides. The floor console box has been equipped with a socket, allowing you to power your favourite accessories anytime you need them. The Active Stability Control system uses onboard sensors to analyse the vehicle’s motion and identify lateral wheel slippage. By governing engine output and applying braking power to the appropriate wheels, ASC helps to maintain stability and control. Keep in touch while keeping safely in control with the hands-free kit. Link your Bluetooth®-compatible mobile phone, and the voice-activated dialer lets you make calls while holding the wheel. No matter where you’re headed, ASX lets you carry whatever you need for when you get there, with up to 406* litres of available cargo capacity with five passengers. The easy-opening tailgate is wide enough to provide ample space for even the bulkiest items, and the low floor height makes it convenient to move heavy cargo in and out. An underfloor compartment is also included, giving you a handy, out-of-the-way storage space. *Includes 13-litre underfloor compartment space (with tyre repair kit). 1,350 mm maximum width of cargo area. 1,510 mm maximum length with rear seats folded down. Measured by Mitsubishi Motors Corporation. The USB port allows you to connect your portable media player and enjoy your full music library in premium quality. A gear shift indicator in the multi-information display recommends the best shift timing for current driving conditions. The panoramic glass roof adds a new dimension to the drive, allowing you and your passengers to enjoy the view from every direction. At night, the roof is attractively illuminated with LED lamps. The new ASX provides a surprisingly elevated seat position that, with the sloping hood design, gives a better view of the road for easier maneuvering and greater safety. The raised hip point also allows for smoother entrances and exits, and greater comfort. HSA makes it easy to start off on a steep uphill slope by preventing the vehicle from rolling backward. When a gradient is detected, it automatically maintains the braking force until the accelerator is applied. What you can’t see, can hurt you. To take more of the road out of the shadows, ASX features Super Wide Range HID (High Intensity Discharge) headlamps. When activated, the headlamp clusters send out broader beams of light, illuminating a much wider section of the road ahead. When wheel spin is detected, engine output is governed and braking force is applied to the spinning wheels to prevent driving torque loss, for smooth starts and linear acceleration.